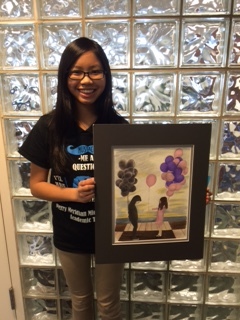 Kaitlyn Greer poses with her winning artwork placing first in the Perry Township MLK,Jr. Celebration Contest. Kaitlyn is an 8th grade student at PMMS.